Like several other influential scientists of the 20th Century, Robert Goddard was inspired by reading H. G. Wells' War of the Worlds. He had a sickly childhood, but said that after reading Wells book he started filling notebooks with far-fetched ideas for getting off the Earth. He began his work developing rockets in 1907, firing powder rockets in the basement of the physics lab at Worcester Polytechnic Institute, and after initial worries school administrators soon came to approve of Goddard's fascination with rocketry. In 1912 he first described the scientific possibility of rocket-powered flight to the moon, but he suffered recurring bouts of tuberculosis, and in 1914 he was told by his doctor that he had mere weeks to live. Recovering despite minimal medical attention, in the same year he obtained a patent for liquid rocket fuel, and in 1915 he proved that rockets could provide propulsion even in a vacuum. In 1918 he conducted the first experiments that led to development of the bazooka portable rocket launcher. His landmark 1920 paper "A Method of Reaching Extreme Altitudes" laid out mathematical theories for rocket propulsion and proposed collecting weather data at higher altitudes than balloons could reach. 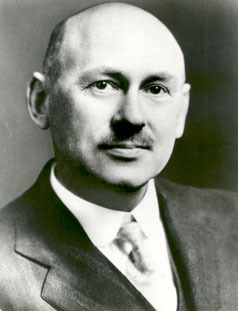 Goddard launched mankind's first liquid-fueled rocket on 16 March 1926, and obtained much of his funding through the Rockefeller Foundation and the lobbying efforts of Charles Lindbergh. In 1929 he launched the first rocket to carry a scientific payload (a camera and lightweight barometer), and in 1936 the Smithsonian published his "Liquid Propellant Rocket Development". He also conducted research into film cooling and gyroscopically controlled vanes, held more than 200 patents, and conducted many of his tests in Eden Valley near Roswell, New Mexico. In America, Goddard is considered the father of modern rocketry, though in Germany and Russia Hermann Oberth and Konstantin E. Tsiolkovsky, respectively, are held in similar regard.